Following up on yesterday’s post about the spiders that have invaded Bernal Heights, Jacques Vidrine captured this amazing photo of a Bernal Heights orb spinner in action. I thought it was just our backyard filled with these orb spinners. I’ve stopped going back there since I walk into a web every time! 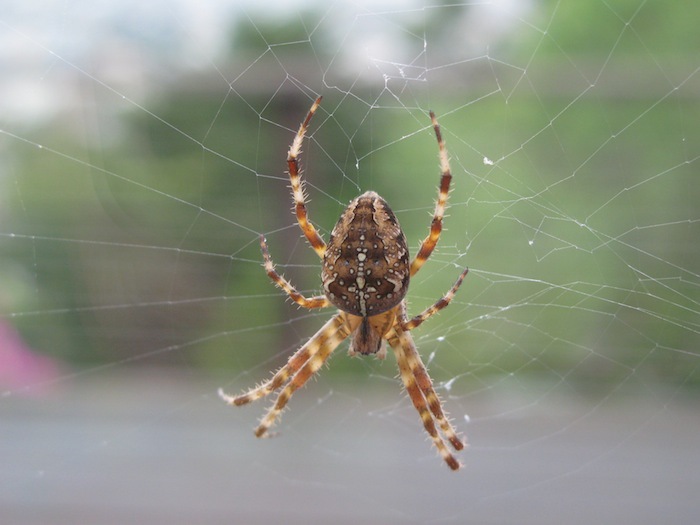 We have MANY of these Arachnid in and about our yard. We have at least a dozen at any given time. This is the first year in over 20 living here that we have had so many. Climate change? Is there a predator missing?